With our exclusive instant coupon. Get 50% off the full price of a 1-year or 2-year subscription when you use the above instant coupon link when ordering at the official Kaspersky Store at Kaspersky.com. This helps you save nearly $40.00 on the annual version or almost $80.00 on the 2-year plan. Just note that this discount can not be used in conjunction with any other offers so if, for example, there is a current sale price in the store, you’ll receive the lowest price of the two offers. Your Kaspersky order comes as a digital download but they will also try to sell you a physical backup disc and extended download service. We don’t recommend purchasing these as its likely something you will never use. This offer is only valid on orders made in North America using a US mailing and billing address. Offers ends on April 15, 2019. Find Kaspersky on sale at Amazon! You probably already go to Amazon for most of your stuff so be sure to check out the deals on Kaspersky. Amazon is one of their largest resellers and usually has a number of different configurations at up to and even over 40% off the list price. Plus free shipping is included as long as your order exceeds $35.00 and most orders will qualify under Amazon’s return policy. Just remember that prices will vary depending on what you choose and the configuration chosen. Savings and pricing will vary depending on the configuration chosen. Save on your 2nd and 3rd years! As it is with most antivirus subscriptions, you can save the most on your order when you buy a extra year or two upfront. The Kaspersky Store has built-in volume pricing on all of their 2 and 3-year plans that help you save up to 50% on your additional year of protection. So if you already know that you will need a few years of protection, then this offer is a no-brainer. The percentage savings will vary among number of years and version selected. If you are renewing or upgrading your expired or soon-to-be expired license of KIS, then as existing customer you can save up to 30% off on renewals at Kaspersky.com. The exact discount will vary depending on the version that you currently own so be sure to have your existing license number handy (not to be confused with your activation code). Only customers with valid full-year licenses can renew at the discounted price. The Kaspersky renewal center will let you know where to find license key and the savings you are eligible to receive. 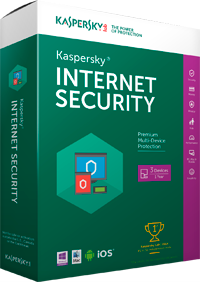 If you’re still a student or have a member of your household that is, then you may be eligible to get a 1-year subscription of Kaspersky Internet Security 2016 for just $29.97. You’ll see that the above link will take you directly to the Kaspersky’s shopping cart with no student eligibility verification taking place. We suspect that there is none and that it’s based on the honor system, but just keep in mind that you might be asked to verify your student eligibility at the time of installation (usually a school id card will suffice). See all our student discounts. Just like most of the other internet security programs that we watch closely, Kaspersky offers free trial versions of their software. So as long as you haven’t already tested their programs before, you’ll be able to download and use any version for a full 30 days. 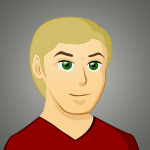 But unlike their rivals, also has a free scanning tool for viruses and other security threats. It’s pretty basic, but it will help you identify any viruses or malware if you believe your computer is already infected. Find a broken link or expired offer? If you’re having any difficulty redeeming one of these offers for Kaspersky Internet Security 2016 then we want to know. We update this page on a regular basis and closely watch these deals but it’s possible a sale price ended early and before we could catch it. If you’re using a physical code, just make sure that you’re entering it exactly how it appears in the description (when we say exactly, we mean using the same capital or lowercase letters, no spaces, and all digits even if they start with zeros). When will Kaspersky release the 2017 versions of their products? If you’re waiting for all of the new 2017 versions of Internet Security, Antivirus, and the rest of the 2017 versions to come out them you’ll have to wait until the ind of July, 2016, if history repays itself. Kaspersky traditionally releases their new products around the same time each year with beta version out by the end of June for those signup up to test their upcoming products. We’re watching all of the latest news and will be posing more details on the upcoming launch as soon as it becomes available.